Fine, limp, hair can be a styling problem -- we're not talking about thin hair (which can be either fine or thick). To give fine hair the illusion of volume and thickness, follow these simple tips. Because longer hair can weigh down fine hair, longer styles normally don't work well as there is too much weight on the hair. Consider a shorter cut with layers will allow the hair to have more volume. Consider a Caesar or Classic Taper. If longer hair is desired, a Shag also works well. A thickening shampoo and conditioner can give fine hair more density and support. For this purpose, I love TIGI's Bed Head for Men Charge Up Thickening Shampoo and Bed Head for Men Charge Up Thickening Conditioner. The biggest mistake men with fine hair make is using too much styling product or one that's too heavy (or both). Styling products will add weight and separation, so go as light as possible. Redken for Men Bulk Up Thickening Spray is perfect for control without weight. Spray a little at the root for added lift and volume or spray a small amount on damp hair and blow dry for even more volume. A light weight hair spray can be applied to set the style. 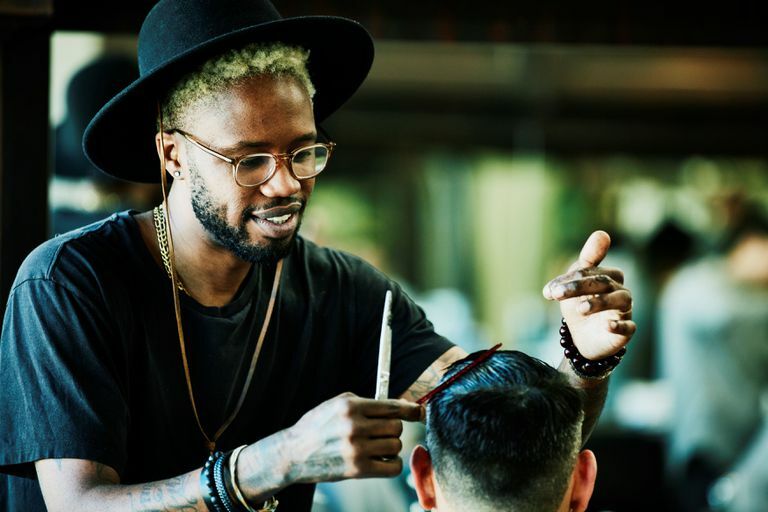 Fine hair has it's challenges, but with the right haircut and styling product, your fine hair can look fuller, thicker, and healthier. Learn How to Cut Fine Hair with These Easy Tips and Tricks.